These are truly amazing documents, largely created before the advent of computers, GIS and GPS systems, and satelite imagery. I was trained as a soil scientist so I had the privilege of working with some soil scientists that contributed to this effort. 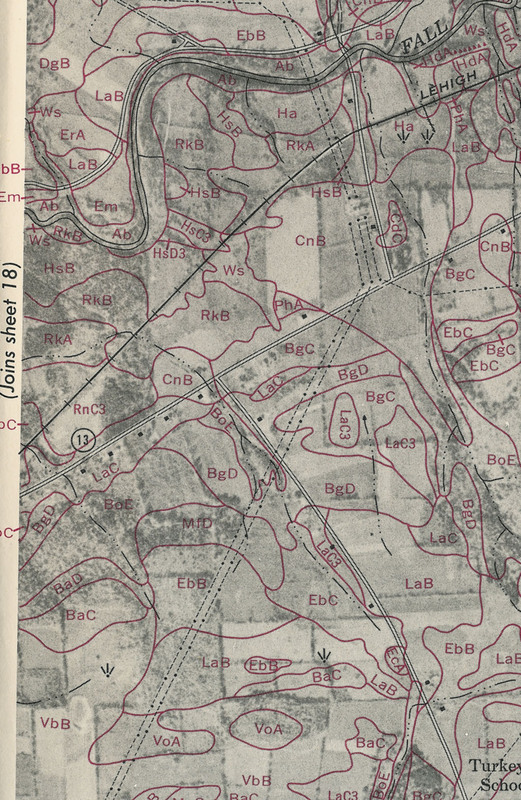 Some surveys were in fact created in the 30's and before, but the more taxonomically correct documents were created by teams in the 60's and 70's - Onondaga Co. for instance. Its interesting to note that despite the amazing comprehensiveness of a given survey, something less than 1/10th of 1% of any given soilscape is really ever sampled directly. Instead much of the identified patterns rely on the underlying geomorphological correlations. Esp. in New York State, a soil survey is a great resource for identifying the geomorphological features and glacial history of an area. And speaking as a soil scientist, you should also keep in mind that the primary focus of a USDA County Soil Survey is agricultural. 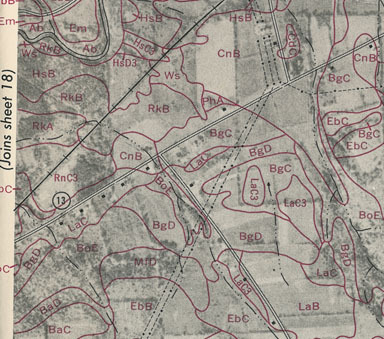 This is something us Stumpy's tend to gripe about since surveys tend to undersample non-agricultural, forested areas, lumping everything together with names like "Lordstown Soil". So while definitely useful for environmental planning, wetland delineation or septic siting for example, they still have their limitations - to be used for guidance not as absolute "truth". Still, very cool - you'll always get me commenting on soil and water posts!